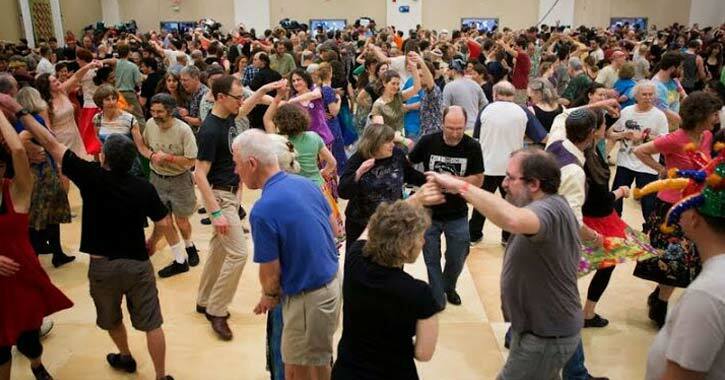 Get ready to enjoy a great weekend of dancing, dipping, and whirling with thousands of other spirited dancers! Each February over President's Day weekend, Saratoga Springs hosts the annual Flurry Festival. The weekend-long festival draws dancers of all ages, abilities, and styles of dance. Dancers can participate in a variety of workshops and programs designed for all levels of experience, from beginner to advanced. And there's more than just dancing! The festival also includes an array of performances, singing, concerts, jamming, storytelling, vendors, and more. It's the perfect event to bring your dancing and non-dancing friends with you! Don't miss it! The festival's headquarters will be at the Saratoga Springs City Center and the Saratoga Hilton. More performers are expected to be added to the lineup! For a complete schedule, visit the event organizer's website! No credit cards - cash, check, or money order only. Checks are to be made out to DanceFlurry Organization. An ATM is available in the hotel lobby at the Saratoga Hilton. No refunds, exchanges, or upgrades. At the door tickets are always available. Tickets are sold as Day, Night, All Day, or Full-Festival only; there are no tickets for single dance/workshop events. Discounts apply for teens, students, military, seniors, and DanceFlurry Organization members.